Supplier & Manufacturer of Polyester Shim. 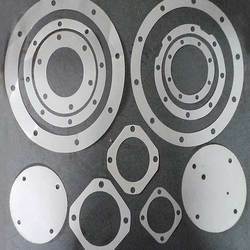 Our product range also comprises of Industrial Gaskets, Shims and Rubber Cork Sheets. We are a reckoned manufacture of Polyester Shims. We offer our range in various sizes and specifications, which can be customized as per client's requirement. Our range is precision engineered, designed and developed to meet several industrial requirements. Looking for Polyester Shims ?